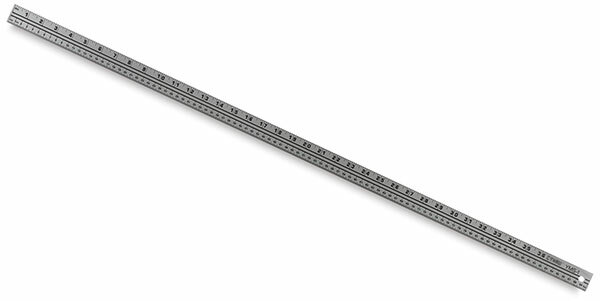 This yardstick features hard, instrument-grade aluminum construction. 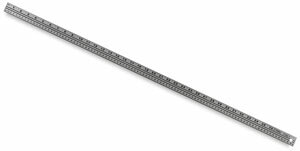 One edge is graduated in 8ths to the inch with millimeters on the other edge. The reverse side provides metric conversion tables for length, area, mass, and volume.